Lock in a great price for Hotel Coma – rated 8.4 by recent guests! The most friendly staff !! Great sense of humour, polite and professional. Hotel very clean and warm . Food fantastic We will definitely call there again !!! We've stayed at the Coma several times over the years. 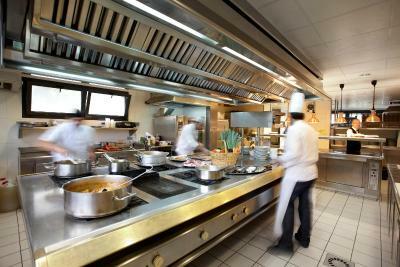 The staff is very friendly and remembers us. The location is great. The views are very nice. 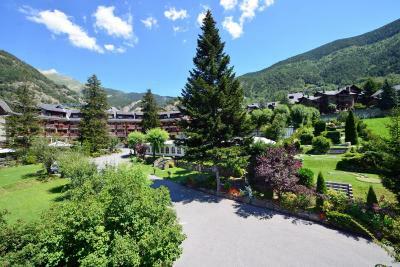 Ordino is the nicest town in Andorra and the hotel is very attractive with great view from all rooms. Nice location , staff nice but little could be done to overcome the heat. 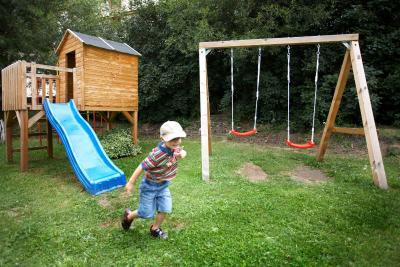 We have stayed many times and the staff are always friendly and helpful. 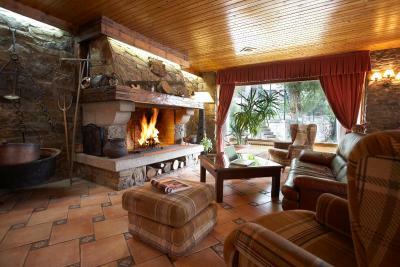 The position of the Hotel suits us very well and in the Winter it is always warm in the Hotel. Great breakfasts!! 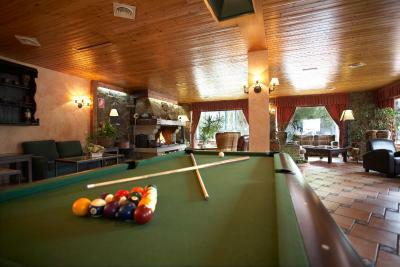 Location is easy to find, parking available, close to everything, but far away enough to relax. There was only one redeeming thing about this hotel - apart from the location. The village was lovely and the hotel handy for that. The gentleman behind the bar and who also seemed to be in charge of the dining room was superb. He was helpful, friendly and very efficient in a number of languages. The location was quiet with the most beautiful views. The staff were super friendly and great hosts for our trip. The rooms are spacious and very comfortable. 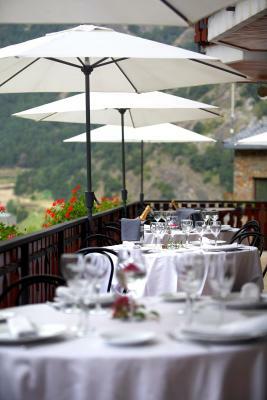 Great breakfasts and superb dinners made for a wonderful time in Andorra. Hotel Coma This rating is a reflection of how the property compares to the industry standard when it comes to price, facilities and services available. It's based on a self-evaluation by the property. Use this rating to help choose your stay! 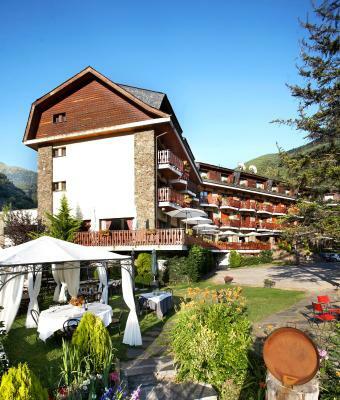 Hotel Coma is located in the Andorran mountain village of Ordino. 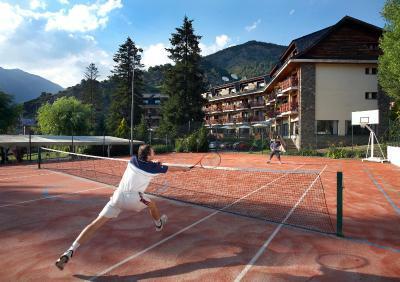 It offers an outdoor pool and tennis courts, and organizes outdoor activities such as hiking, canyoning and skiing. 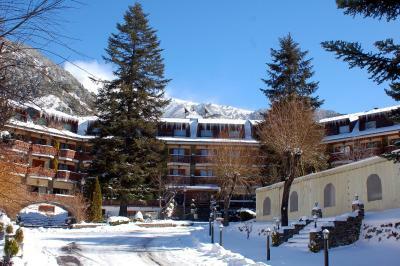 The hotel has its own restaurant which specializes in traditional Andorran and Mediterranean recipes using fresh local products and homemade sweets. There is also a café-bar which serves snacks and drinks. 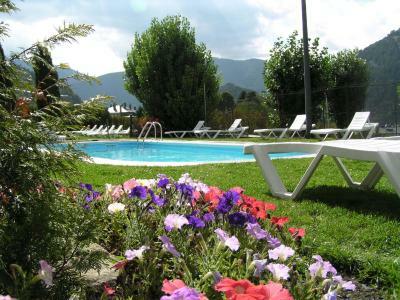 The hotel offers discounts at Ordino Sports Center, located 1,650 feet away, where there is an Olympic-size swimming pool, fitness center and Turkish baths. 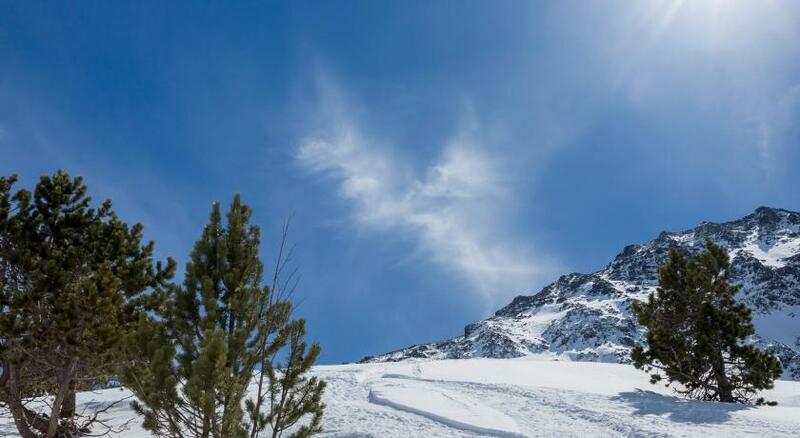 The ski slopes of Ordino-Arcalis are around 20 minutes' drive away while the elevators to the resort of Pal are 2.5 mi away. There is also a bus every 15 minutes to Andorra la Vella. When would you like to stay at Hotel Coma? This spacious, south-facing room offers views of the hotel’s gardens. It includes a HD TV with satellite channels and a private bathroom with a spa bath. House Rules Hotel Coma takes special requests – add in the next step! Hotel Coma accepts these cards and reserves the right to temporarily hold an amount prior to arrival. Large room with lovely view of mountains. The eggs for breakfast. I don’t believe they were real eggs. This hotel was (it has now stopped) declaring itself 'pet friendly' it was anything but. We were not even allowed to pass through reception with our two small and very well behaved dogs. We were condemned to entry via a basement/garden storage area. Huge bar area - think airport departure, nothing grand, tiled floors and even when were were the only people there we were told we had to have a drink only in our bedroom. We felt imprisoned for 3 days. The bedrooms are plain, dated and I had to ask for a second (hard) chair to avoid sitting on the bed for 3 days. They were happy to charge us by night/dog - but then condemned us to a dreadful stay. Even if I was not travelling with dogs I would take a note of the attitude to guest welfare we were shown. On the reception desk are two small cages full of birds - sort of sums it up really. The hotel seemed a bit run down this time. Some basic maintenance things need to be taken care of (painting, water damage in the bathroom). 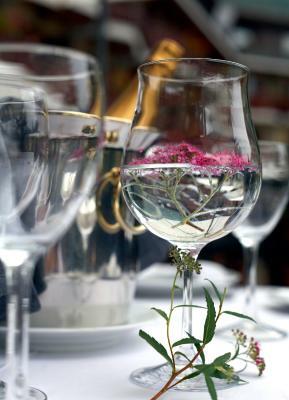 The restaurant is very expensive and the village doesn't have very many other options. I don't understand why the televisions aren't available with the original audio. All modern televisions have the option to choose the language, but it seems the hotel has blocked that on their tvs, so you have to watch dubbed shows. The breakfast was amazing! The Beds so comfy! The view from the balcon ! I enjoyed everything and we will come bak in April,Ordino is a lovely village,quiet,but if you want the shopping and being busy Andorra La Vella is only 10 mn by car! The bathroom was dirty with stains on the bath. The mini golf holes need cleaning as the water inside then smells terrible. In the bedroom, the mattress felt like plastic and the rooms are very small. On the top floor there are no balconies which was a shame. WiFi was not very strong and we had to keep getting new passwords. The pool was full of flies and bugs and was freezing cold. 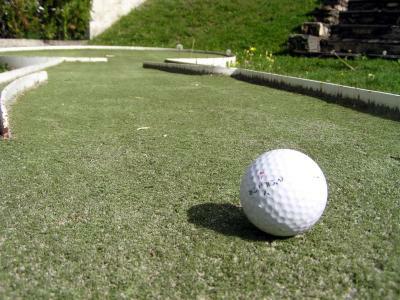 Amazing pain au raisins for breakfast and the mini golf was fun. The restaurant food was really good. We had the set menu every night and it was lovely. The staff - especially the restaurant staff, were wonderful. Dinner was superb - had the best beef fillet, cooked in a rich sauce, ever. Bathroom - the shower leaked. Friendly, efficient check-in, great view from the room. All of the staff were helpful and spoke Spanish, French and English. A special mention for the restaurant - fantastic evening meals - variety, presentation and quality, worth staying at Hotel Coma just for the food. View from room balcony, lots of car parking spaces in a car park on site. Food in the restaurant is great value and delicious. Breakfast also very good value. WiFi very good everywhere.